This was the entire reason I bought this box. 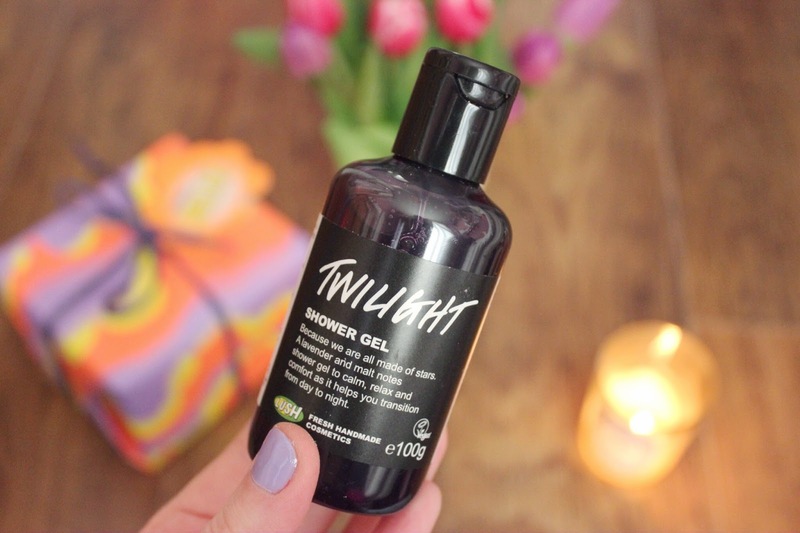 I absolutely adored the Twilight shower gel when it was in stores arounddd November 2012? And I used it oh-so-sparingly when I learnt it was limited edition. 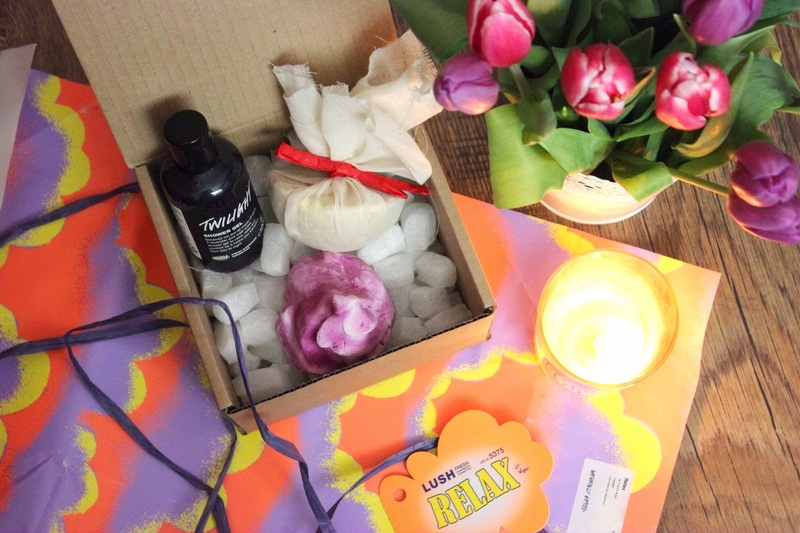 BUT when I found out that it is exclusively available inside the Relax box, I was absolutely thrilled. It is the most calming and comforting shower gel you can imagine. It is purple and sparkly, smells like the most gorgeous lavender (it isn't strong like some) and instantly relaxes me into a stress-free and sleepy mood. 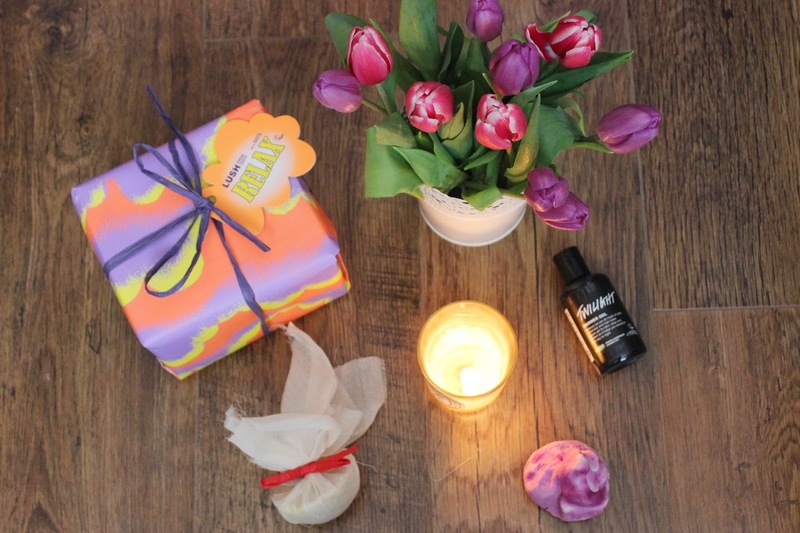 It also lingers on the skin so that when you get all tucked up into bed, you can still smell the calming scent. 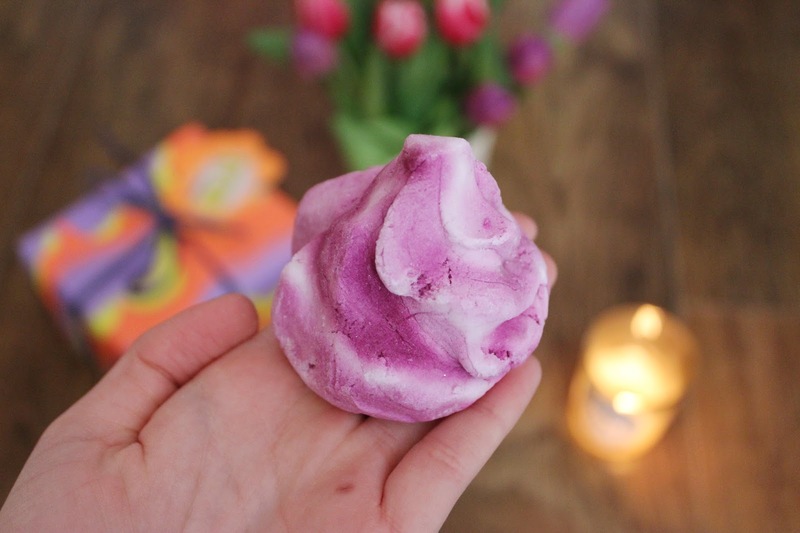 I haven't tried this before, but it's something that always catches my eye in the Lush stores, because it looks absolutely divine. Again, it contains mostly lavender, which clears the mind and helps improve the quality of your sleep. It’s also really good for the skin, soothing and used to treat soreness and burns. Extra virgin coconut oil gives a lightly moisturising, non-greasy texture. I imagine this would be perfect after a long stressful week, to unwind and calm for the weekend. This is available on it's own for £4.24. I have never seen this in store before, so I was very intrigued when I found it in the box. It sounds absolutely fantastic though... "Drop the muslin pouch into your bathwater and watch it release its oily oatmilk, turning the water a creamy colour. 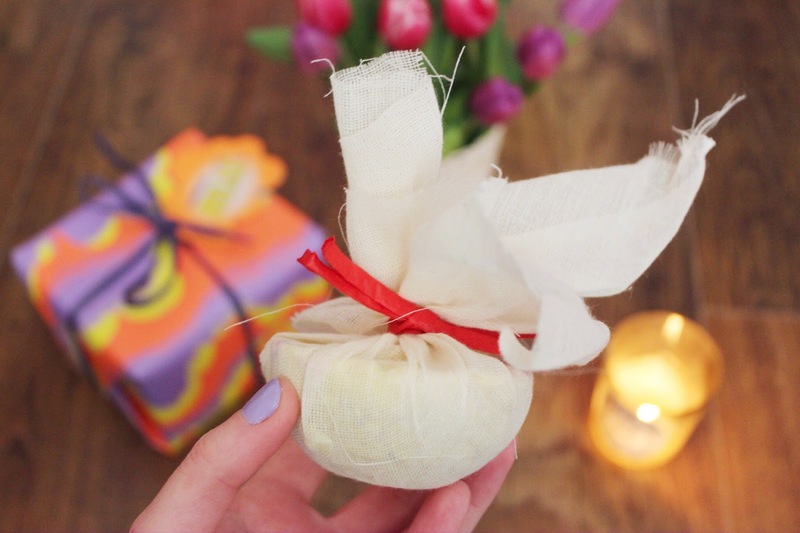 Once it has melted, use the bag as a washcloth and enjoy the spellbinding scent of frankincense, rose and sandalwood." I think this might be one of my favourite boxes yet, I'm super excited to try the products. I very often suffer from stress and headaches which really affects the quality of sleep at night, I can be tossing and turning for hours trying to forget all the thoughts that pop into my head. So I'm really optimistic that these gorgeous little treats are going to help!